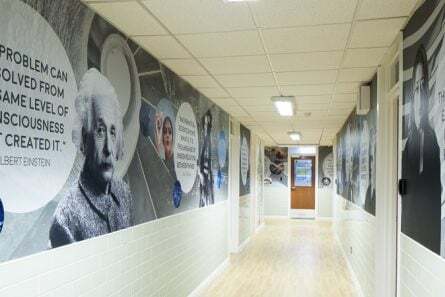 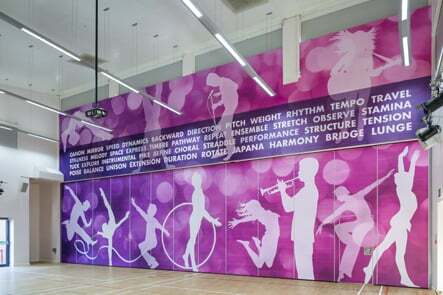 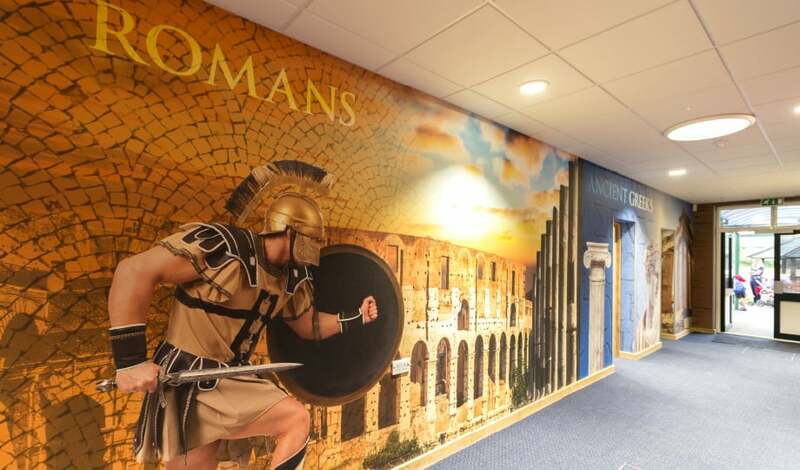 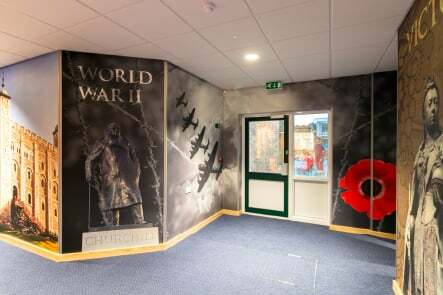 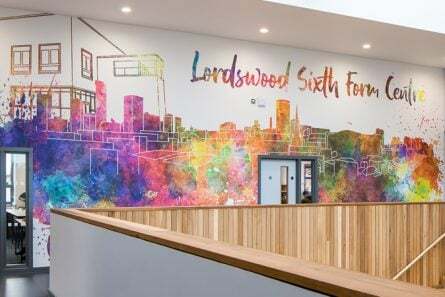 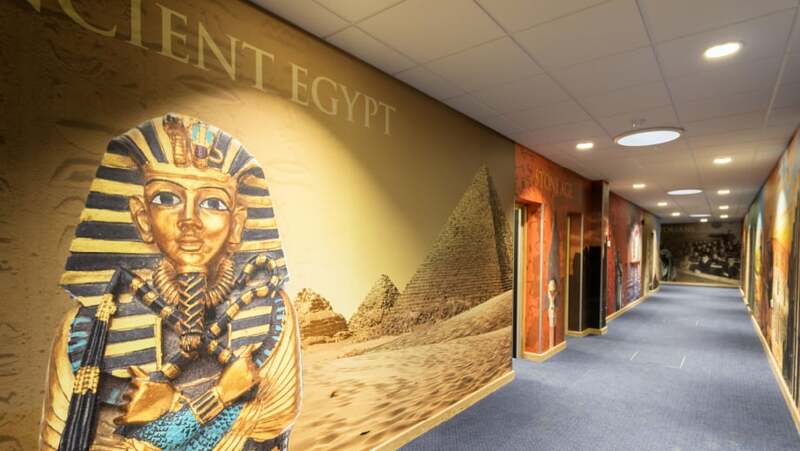 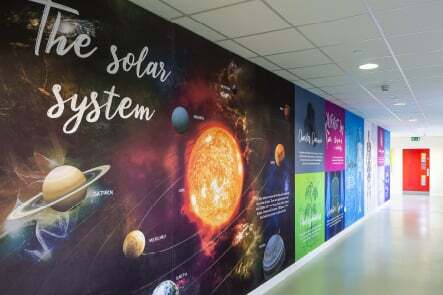 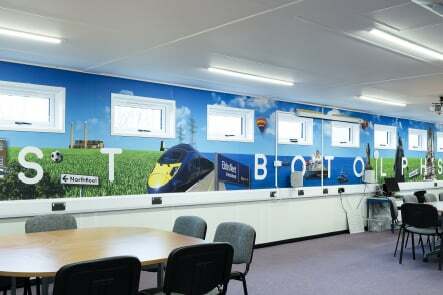 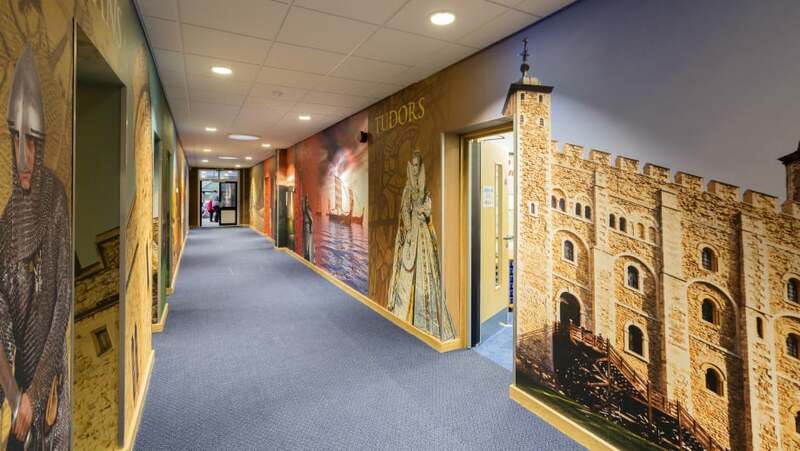 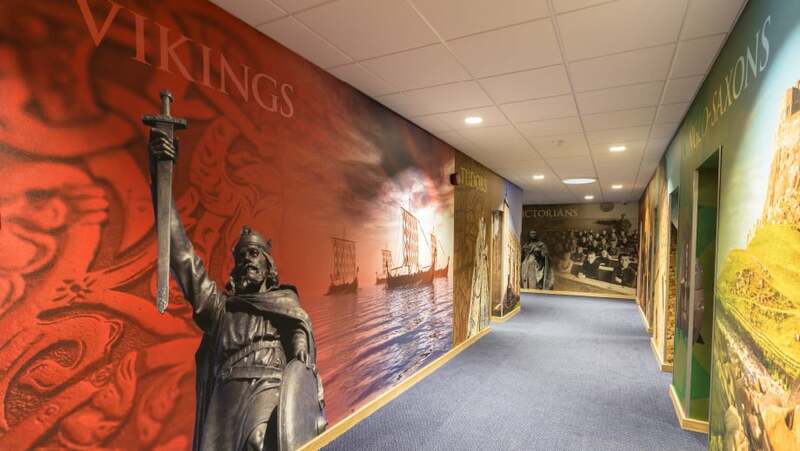 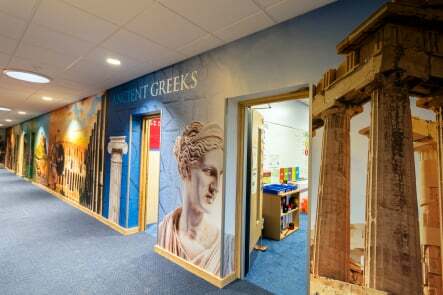 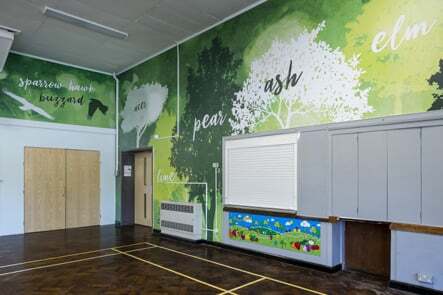 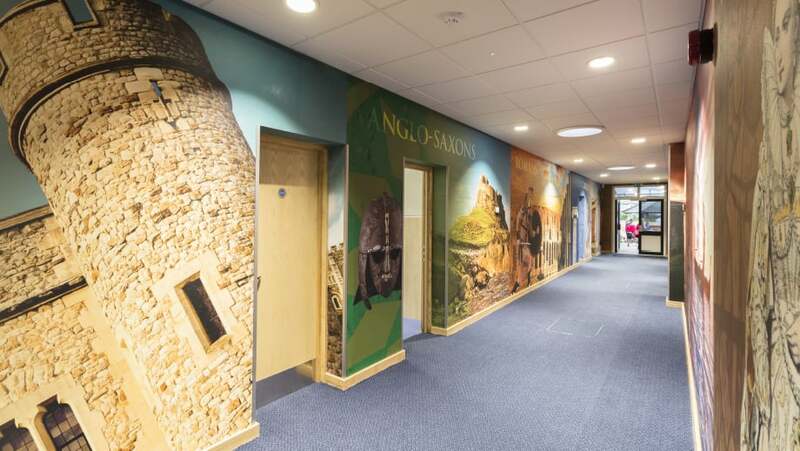 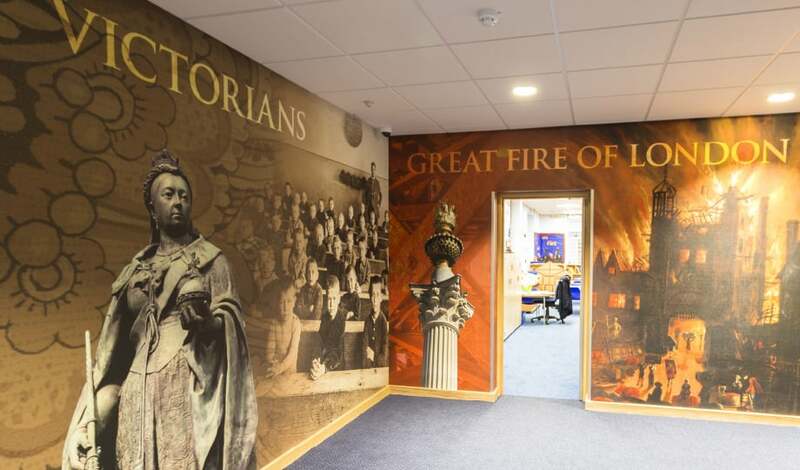 Lee Chapel commissioned us to create a history timeline to cover the main corridor in a newly built section of the school. 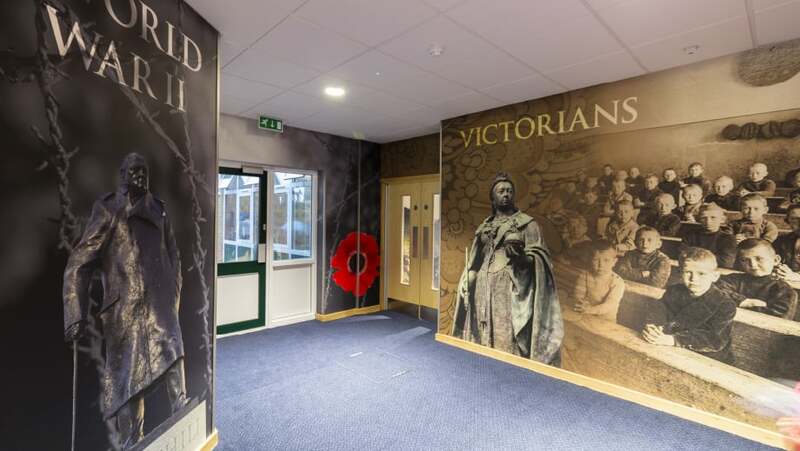 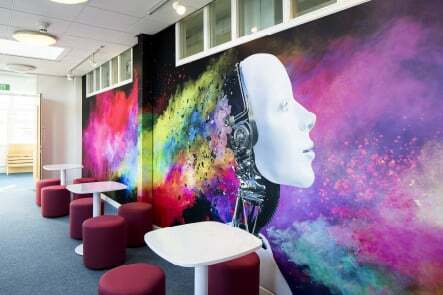 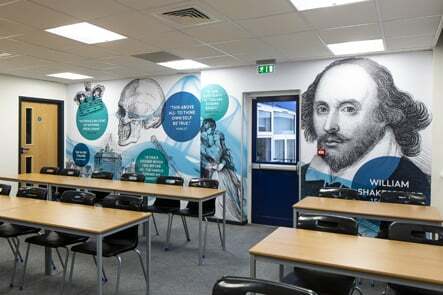 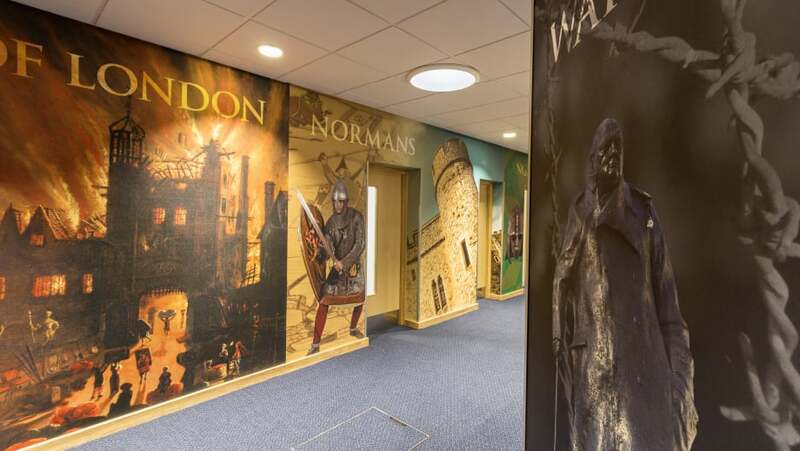 We used impactful imagery from important periods in history to create backdrops along with a iconic cutout images to act as a focal point for each era being displayed. 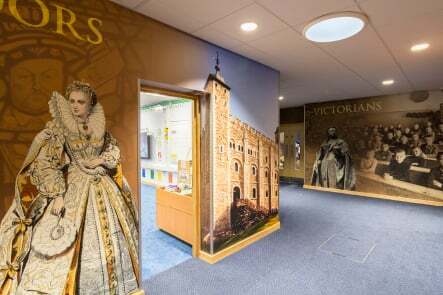 The result is a journey through time that brings key points in history to life.